June 14, 2017 – Princess Cruises, the Official Cruise Line of the Seattle Seahawks, hosted the “End of School Bash” for a group of lucky Boys and Girls Club of King County members, featuring Seahawks Offensive Tackle George Fant, the Sea Gals and mascot Blitz. Attended by over 50 youth from the King County area, the event was a farewell to the school year and kick off to the summer season. The celebration included a kid’s clinic put on by the Seattle Seahawks Sea Gals cheerleaders, a Green Screen Photo experience, cookie decorating, and an art activity. 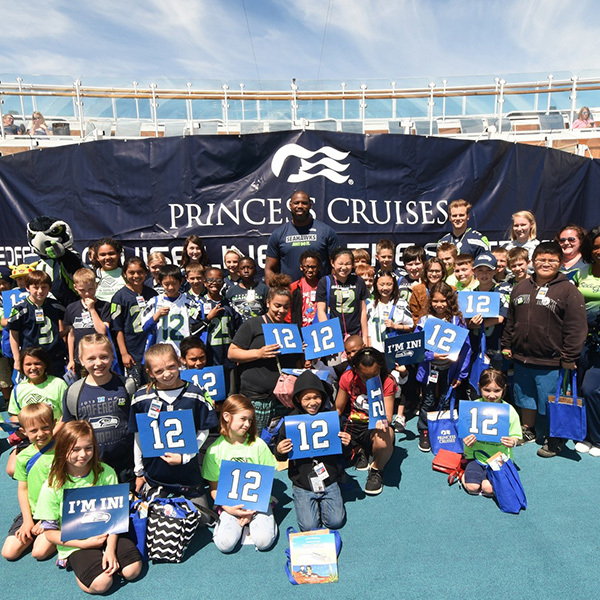 The children enjoyed a pizza party lunch on the deck of Ruby Princess, where they were surprised by special guest Seattle Seahawks Offensive Tackle George Fant. The community event builds on the partnership Princess Cruises and the Seattle Seahawks established in 2015, offering fans special cruise deals on Princess cruise vacations and opportunities to win a cruise. Princess Cruises also shows NFL games on its giant “Movies Under the Stars” poolside LED screen and throws tailgate parties at sea on Caribbean cruises and West Coast cruises, allowing football fans to catch the action-packed season during their cruise vacations. Princess Cruises operates two cruise ships out of Seattle, sailing to Alaska from May to September. Voyage of the Glaciers – Princess’ most popular Gulf of Alaska offering sailings between Vancouver and Whittier features two glacier-viewing experiences on every voyage, with visits to the UNESCO-listed Glacier Bay National Park plus either Hubbard Glacier or College Fjord. Inside Passage –This breathtaking part of Alaska, known for its lush scenery and wildlife-filled fjords, will be featured on seven- and 10-day roundtrip voyages with the option to visit Glacier Bay on select sailings from Seattle and San Francisco. One of the best-known names in cruising, Princess Cruises is a global cruise line and tour company operating a fleet of 17 modern cruise ships renowned for their innovative design and wide array of choices in dining, entertainment and amenities, all provided with the experience of exceptional customer service. A recognized leader in worldwide cruising, Princess carries two million guests each year to more than 360 destinations around the globe on more than 150 itineraries ranging in length from three to 111 days. 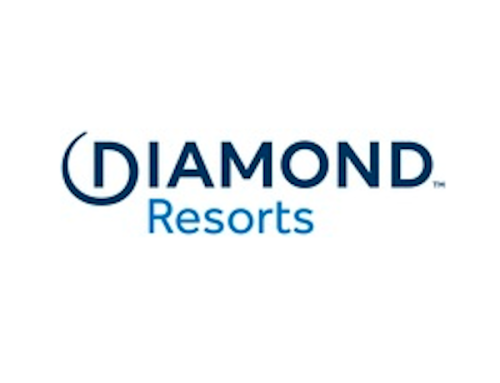 The company is part of Carnival Corporation & plc (NYSE/LSE: CCL; NYSE: CUK).